So far these are my favorite starch alternative! Just as good, if not better than potato fries! I would say 1 large sweet potato should feed 1 person. Depends how hungry you are! Slice the potato as thinly as you can and then let them soak in water for about 30mins (This drains the excess starch). Then pat completely dry, the drier you get them the more crispy they will be! Line a baking tray with a baking sheet and spread the fries onto the tray. I then lightly spray with some oilive oil spray but if you don't have any then lightly brush some oilve oil on - not too much or they won't go crispy. The oil is simply to make the seasoning stick! Now it's time to season, you can use anything you like but they are naturally quite salty so avoid using a salty seasoning. 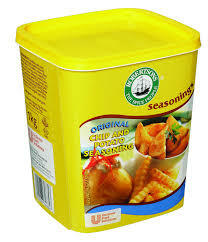 I use Roberstons chip and potato seasoning. I've only ever found it at Makro in a bulk container which is a bit of an inconvenience but totally worth it! After spicing, add some powdered parmesan! Remember, paleo is all about low carbs and HIGH fat so cheese is a yes! Preheat oven to about 180'c +. 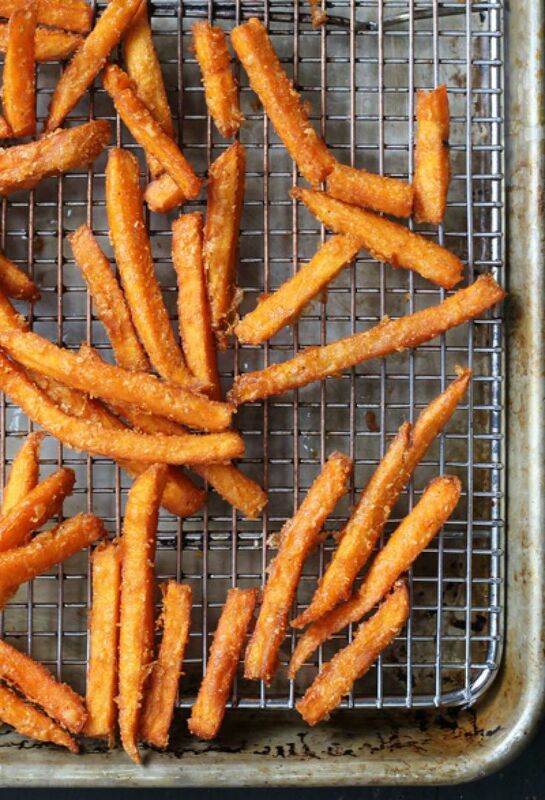 Bake fries for about 15mins, then flip them and put them back in for another 15mins. You may have to do an extra 15mins depending how crispy you want them. I leave mine in until they are near burning point, VERY crispy. And there you have it! Sweet potatoes do contain natural sugars so their carb count is about 20g per potato which is a higher count than I usually allow but we'll consider this a 'treat'. A normal potato has a carb count of about 60g per potato so it's by far a healthy option!